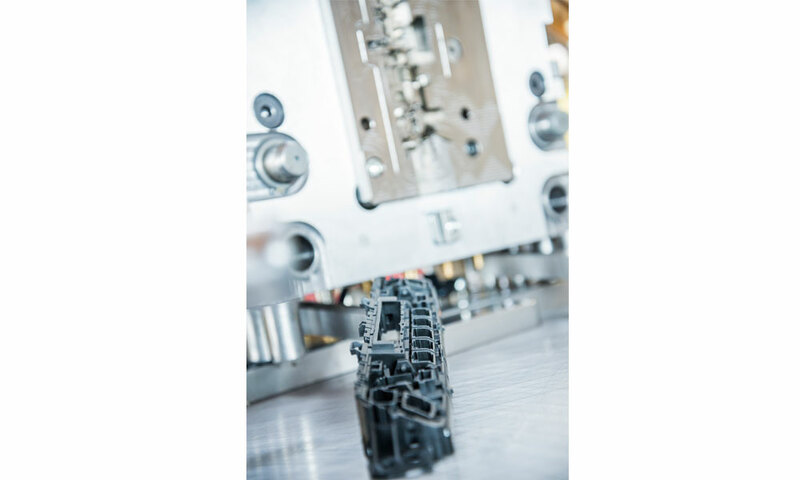 Based on the high precision constructions of our engineers, the highly qualified mold making manufacturers use their entire expert knowledge to produce molds of top quality. They are supported by ultramodern machinery that, due to continual investments, is kept at the newest stand. 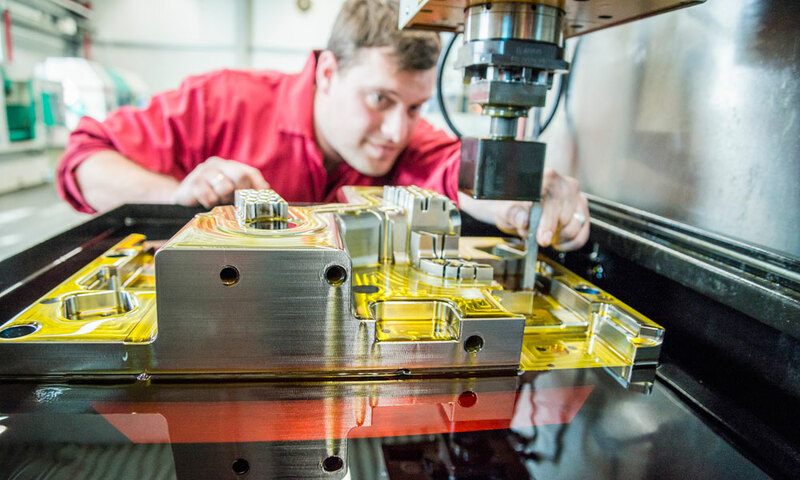 Our molds allow the manufacturing of the smallest and largest of components, up to a component weight of 1.200 grams. Here, the molds themselves can have a weight of up to 3 tons. 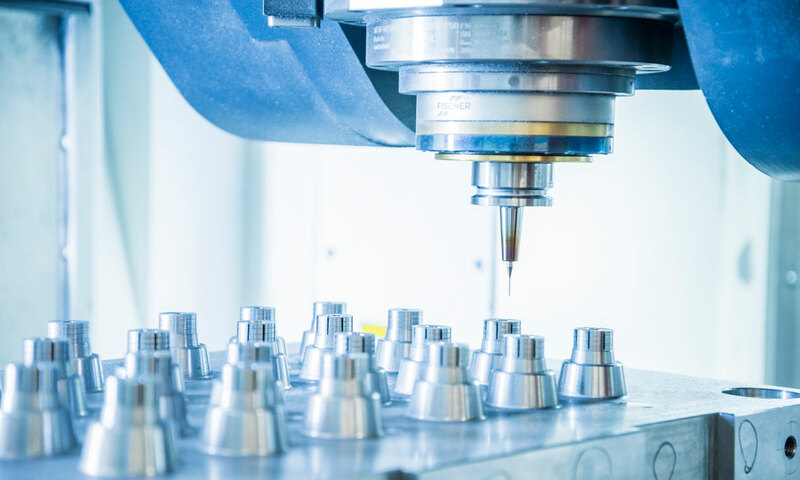 We carry out sample products for nearly all molds manufactured by our company and we provide the samples with all important manufacturing technical data. Many things from daily life come from tools made by ENGESSER. 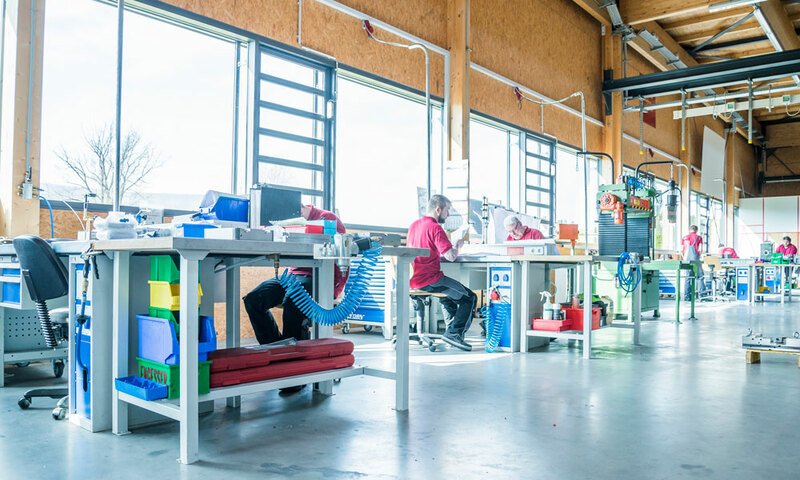 In the Engineering Department many years of experience and a high level of creativity set apart these engineers. 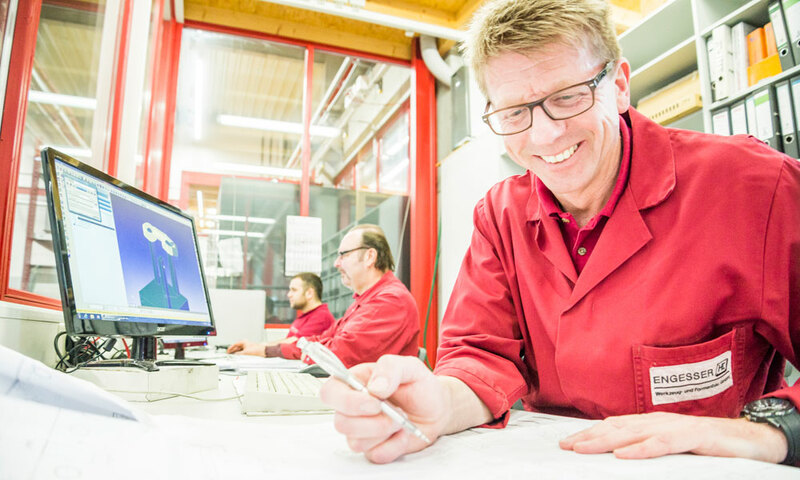 A great deal is dependent upon their knowledge, their skills and their proficiency, because the quality of the construction is crucial for the quality of the mold. By their activities, that carry a high level of responsibility, they are supported through well planned and implemented modern software of leading manufacturers. As a result, they are in the position to precisely develop complicated molds according to state-of-the-art knowledge. Thanks to permanent discussions with our customers, special wishes and important suggestions can be coordinated and scheduled appropriately. Requirements with regard to the usage of the completed injection molding, pressure molding or vulcanization components with regard to mechanical and thermic stress flow are, of course, implemented into the construction process. ENGESSER works in the field of mold making with the most up-to-date machinery from companies like DMG or Exeron. Therefore it doesn’t mater if we work on small or big molds, 3- or 5-axis. The finished product will be a machined part with highest precision. The efficient functionality and delivery of your mould is granted by an initial sample inspection. 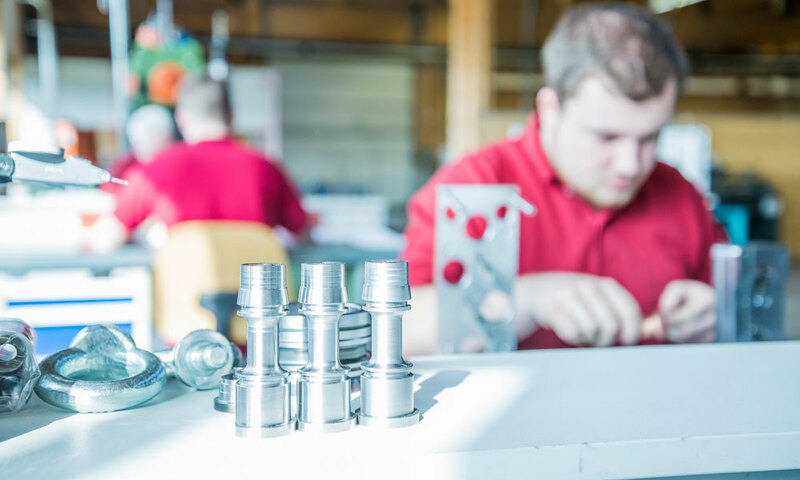 Four machines from Arburg and Boy are available to produce and test under conditions identical to those of final production. Extensive peripheral devices allow us to work with high performance plastic and produce small batch series. Our customers benefit from tried and tested moulds. 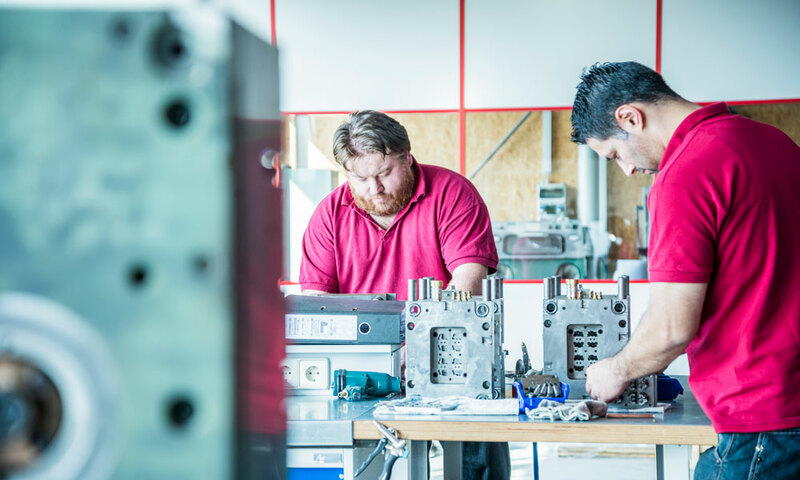 The delivery of all injection moulds contains comprehensive documentation, including machine setting card and filling study. 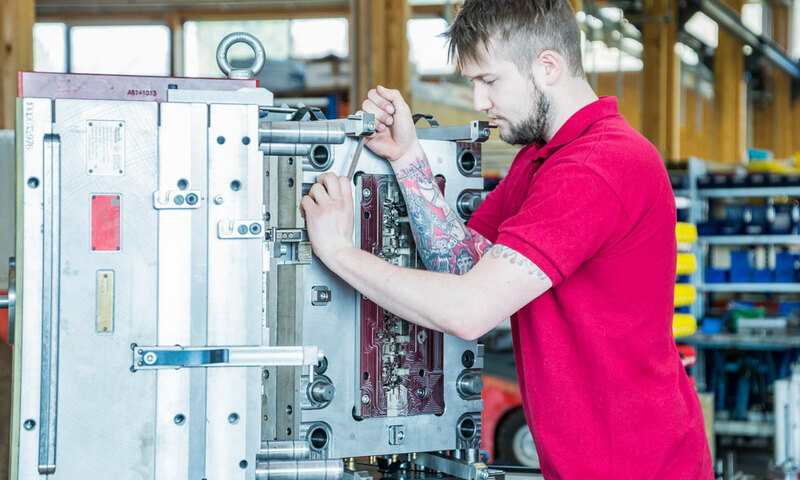 ENGESSER is also able to manufacture and test multi-component injection mouldings. Here our Arburg machine is equipped with the latest technology and techniques. Initial sample test reports as well as resulting corrections and changes can be provided where required. Optical- and CNC measuring devices are therefore available.